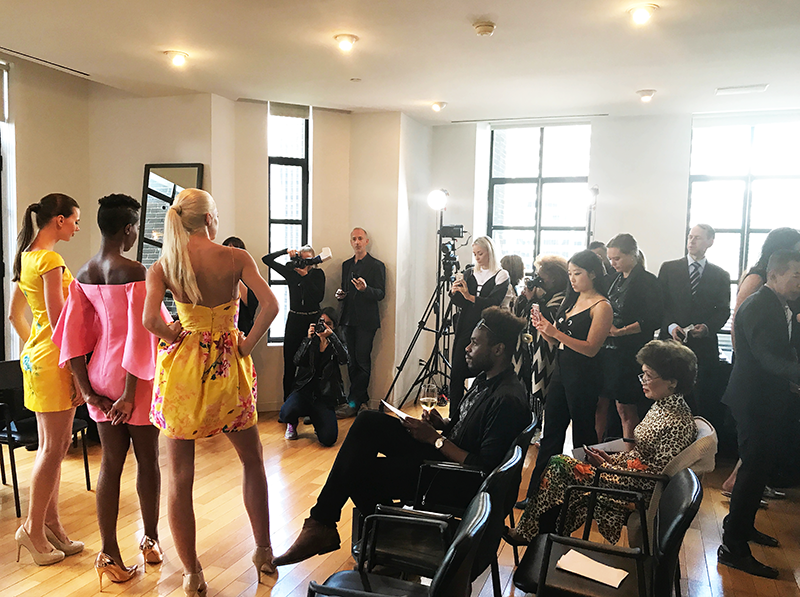 (New York, NY) – Nancy Tran unveiled her launch collection “Transformation” for Spring/Summer 2018 during New York Fashion Week at the Bryant Park Hotel to a crowd of fashion editors, stylists, influencers and retail buyers. According to Ms. Tran, “The collection is inspired by rebirth. I wanted to focus on that magical way that fashion can transform us all. But it’s not so much about changing into someone different rather discovering your own potential, unleashing your own beauty and finding that reservoir of confidence and strength in every woman. That’s why I employed both butterflies and flowers in the design to illustrate that emergence from our own cocoons, of blossoming into someone strong and beautiful.” The line consists of day and cocktail dresses, evening gowns, and separates rendered close to the body silhouettes with fitted waists and skirts tapered like tulips or voluminous roses in full bloom. The butterfly and floral motif is further evident in the couture level details of cascading embroideries, prints, pleats, and cutouts that add rich texture and depth. The line is crafted from the premium silks in creamy tones and opulent shades of scarlet, pink, purple, and yellow to capture the delicate flourish of both fashion and nature. Hemlines range from asymmetric to at, below the knee, and floor length gowns. Ms. Tran adds, “When a woman wears the line, I want her to feel as sensational as she looks, to unleash her own potentials, whether it’s the resolve to become her best possible self, the confidence to command attention, or the delight in celebrating a moment of being beautiful”. The entire collection is manufactured with the rigorous standards of quality and imbued with an international flair that makes it equally at home in any of the world’s capitals from New York and Paris to London and Saigon. The Nancy Tran Collection is available at retail from about $1,200 to $6,000, sizes 0 to 12, online, at boutiques and department stores.